In Henkel v. Norman, an appeal from the Supreme Court of Texas, a mail carrier was injured after he fell on ice one January day. According to court records, plaintiff was delivering mail on a day that was colder than normal. The National Weather Service had issued a hard freeze warning through the weekend. The plaintiff walked on the sidewalk in front of some homes and walk on the lawns of other homes when delivering mail. When his accident occurred, he was walking through defendant’s lawn. Defendant was standing at the door when plaintiff arrived so she took the mail from him. When he turned around to leave, defendant said “don’t slip.” Despite her warning, plaintiff slipped and fell on the ice. 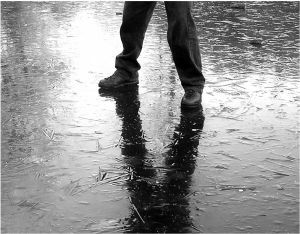 Plaintiff denied having seen any ice on the defendant’s lawn prior to his fall. He sued defendant on claims that homeowners were aware of the ice accumulation on their property and did nothing to remove it or warn people of the danger of the ice. Defendant filed a motion for summary judgment and trial judge dismissed the plaintiff’s case. The judge ruled that there was no dispute of material fact at issue in this case and that the defendant had explicitly and in no uncertain terms warned the plaintiff to be careful about the ice right before he fell. As your Boston personal injury lawyer can explain, a motion for summary judgment is a motion to dismiss a claim, or the entire case. The moving party (normally the defendant) asserts that there is no genuine dispute as to material facts. Essentially, they are saying that if you take all of the facts in the best light of the non-moving party, the non-moving party (normally the plaintiff) still cannot win the case. In the Commonwealth of Massachusetts, a motion for summary judgment is contained in Rule 56 of the Rules of Civil Procedure. In Henkel, plaintiff’s entire lawsuit was based upon homeowners not warning of the dangerous icy conditions on their property. Since the trial judge found that this warning was given, he dismissed the case. Plaintiff appealed dismissal and claimed that the homeowner’s warning was general in nature, non-specific and inadequate to protect him from harm suffered. The intermediary court of appeals reversed the trial judge. The defendants then appeal that reversal to the state supreme court. The court held that “don’t slip” was a specific warning. The court said that warning must be examined in the overall context of the circumstances at hand. The court found this warning could only be interpreted as meaning to be careful of ice on the property. This was different from a general warning such “be careful” or “drive safely.” If the man had fallen in a pothole after hearing don’t slip, the court noted, it would have made the warning inadequate.